For a woman residing in Uttar Pradesh, visiting a recharge shop has become a trap. Not only do you have to brave the creeps on the way, you now have to brave the creeps who leak your phone number to a mob of sexually frustrated, creepy men. The recharge shops in UP have been circulating the girls’ contact numbers at varied prices – Rs 50 for a “normal looking” girl and Rs 500 for a “beautiful” girl. These numbers are forwarded to men who are willing to pay this aforementioned amount. After getting access to these contact numbers, women are approached with the usual sleazy lines – “Humain aapse dosti karna hai” or “I want to make friendship with you“. This rampant illegal practice came under the police’s scanner after the woman’s helpline number ‘1090’ was flooded with such complaints. Out of the 6 lakh registered complaints, 90% of them fall under ‘harassment on phone’. The police team is investigating the thriving practice that has been plaguing the state, but there have been no arrests so far. However, three recharge guys have been booked for carrying false documents. One of the harassers confessed to Hindustan Times that he indulged in this in lieu of some ‘harmless fun’. There have been no arrests so far and the women’s dignity remains to be at stake. It has become so easy for such miscreants to indulge in these shameful and immoral practices, thanks to the non-stringent laws pertaining to the women’s safety. 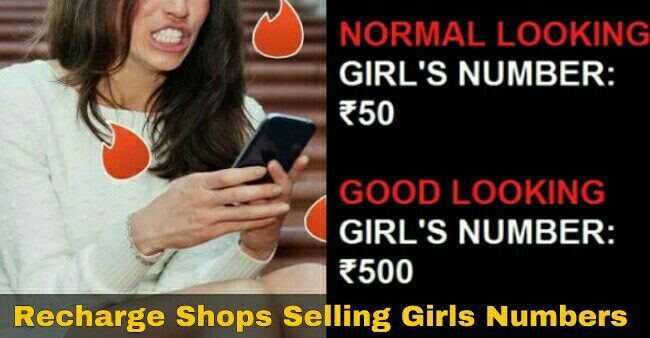 Are women just mere objects that these recharge bhaiyas attach a price tag to their looks just for the sake of some ‘harmless fun’?